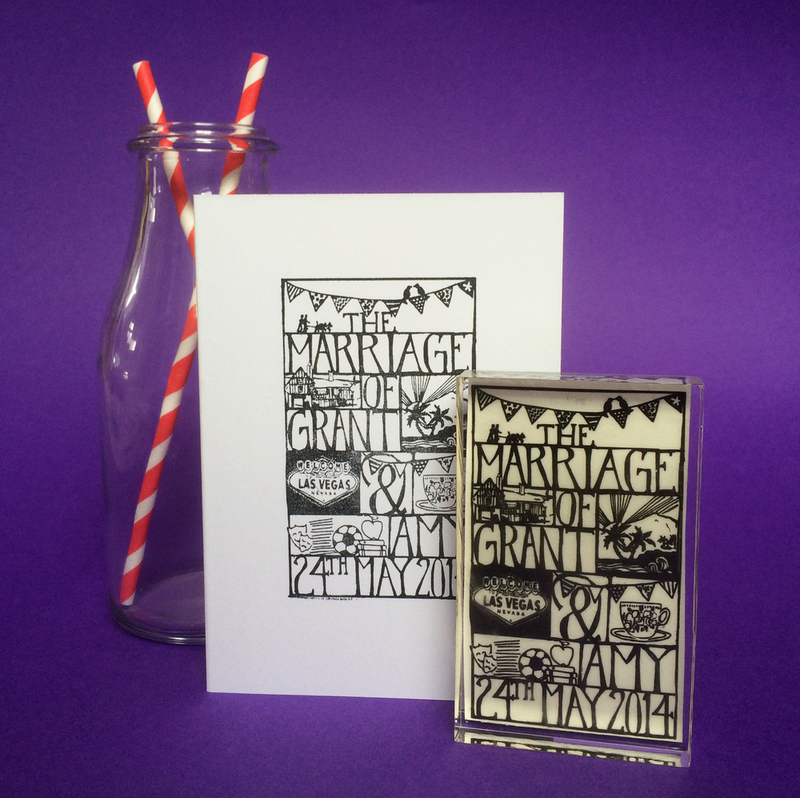 Make your own wedding stationery, commission something special or choose a personalised gift for the happy couple. Make your own invites with our new Filigree invite Stamps that can be personalised with your name and your wedding date; or get personal, with a Bespoke Wedding Stamp - both are designed to be displayed after use and will serve as a lovely memento of your big day. Send invites with style with a personalised Address stamp. £19.50 (5x3cm approx). Get creative with a Deco Heart or Filigree initials stamp, a Lovebirds mini stamp or the versatile Rococo. Make decorations, tags, place settings, stamp the back of envelopes - the only limits are your imagination. From £25 (5x5cm approx). We created these Bespoke Wedding Stamps after several customers requested them. 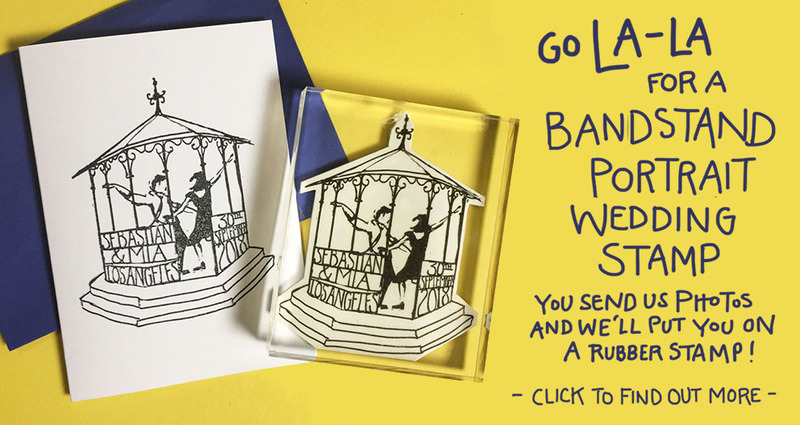 A twist on our popular Bespoke Bookplates, you tell us something about yourself - where you met, what you do, shared interests, where you're honeymooning.. the possibilities are endless - and we'll create a totally original design in the style of the examples here. You can have whatever message you like up to 50 characters. The stamps measure 6x10cm approx and so are perfect for sending save-the-dates or creating your own invites. They're also a marvellous memento of your day. £80 including ink and gift box. Looking for a gift? 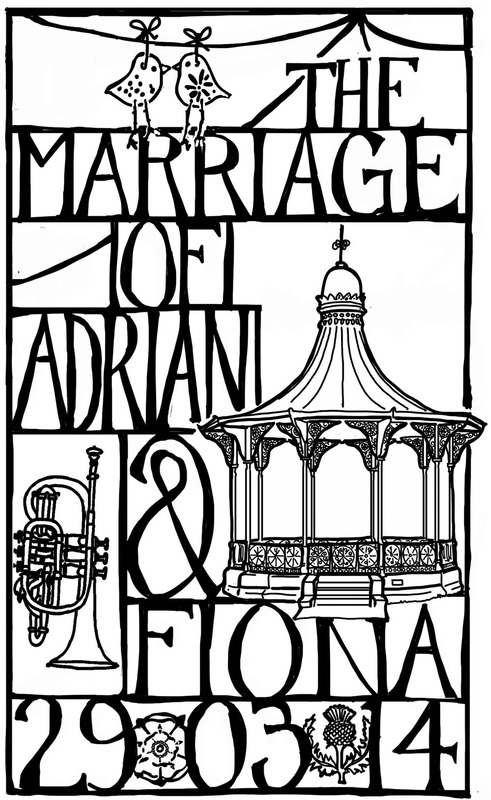 We can create a bespoke bookplate for the happy couple combining their life histories and interests. £75 including ink and gift box. Order now from our online shop. We can create a beautiful and unique stamp of your wedding venue. Use for invites or save-the-dates and get a beautiful souvenir of your big day. See our sister site Holly's Houses for more details of how to order. We're always happy to take on commissions, whether you need a single small stamp or an entire suite of handmade stationery. Just email us at orders@bloomfieldandrolfe.com and we'll happily discuss any ideas you might have. Take a look at some of our previous wedding commissions. As the date approaches, are the happy couple ready to make the ultimate commitment.... and combine their libraries? 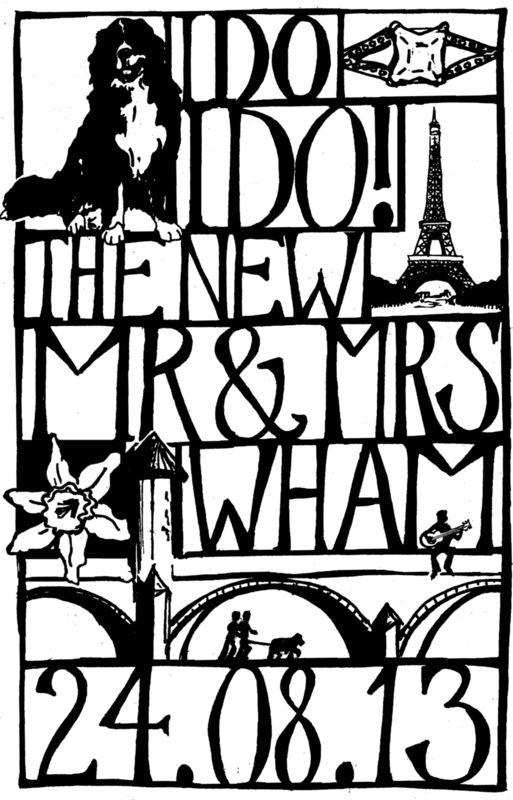 A Bloomfield & Rolfe Ex Libris is a fabulous way to mark a new union, and perhaps even celebrate a new surname. We have over 20 designs available including the wedding specific 'Deco Heart', 'Carnation' and 'Lovebirds'. Or treat the new Mr & Mrs to a personalised Address Stamp. Buy together and we'll throw in a gift box and a free ink pad! - £43.50 for a gorgeous gift that will stand out from crowd. Hand-stamped with added embellishments, our cards are perfect for wedding couples, or for use as invites. Available to buy as singles from our online shop, please contact orders@bloomfieldandrolfe.com if you'd like a quote for a bulk order or for personalised versions.